Devil May Cry 3: Special Edition struck me as somewhat weird. The main story of the game revolves around Vergil attempting to open a portal to the demon world with Dante having to stop him. Meanwhile Lady is hunting down her demon-obsessed father (and accomplice to Vergil) who killed his wife for power. With how the game's story progresses I would argue that Lady is to DMC3 what Nero is to DMC4. So when they added a new playable character for the special edition besides Dante it was obvious who was going to be the secondary playable character. No seriously, they picked Vergil. 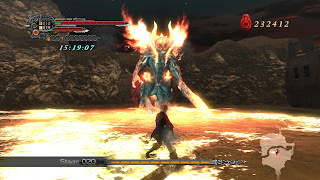 Here we have Lady, who in the story progresses alongside Dante, has even more of a character arc than Dante, shows exceptional skill at vanquishing demons and even lands in the killing blow on the game's villain, but instead of having her as a playable character, we got color-swapped Dante (That's a simplification since Vergil does have a different moveset and ended up with a sizable fanbase, but still). In short, I was more than a bit disappointed that I didn't get to play as Lady back when I picked the game up in 2007. Fast forward about 8 years and imagine how hyped I was with the announcement of Devil May Cry 4: Special Edition, which not only brought the main Devil May Cry series back from reboot hell, but also promised Lady and Trish as playable characters. You bet I was excited. Unlike all the other melee-focused characters, Lady's main method of disposing demons is long-ranged and gun based. She does a tremendous amount of damage with the downsides being that she needs time to charge her guns and she's a bit slower. Story-wise her focus on guns is a result of her being the only human in the cast. That in itself is a big reason why she's so awesome: she can hold her own despite not being a super-powered (half-)demon. That's also why her devil trigger is just her tossing grenades around and why, unlike all these guys with healing factors, she has acquired quite a few noticeable scars (unfortunately they used the same texture for both her legs so somehow her scars are symmetrical). She doesn't really have a story this time around though. It's just the same levels as Nero & Dante from the main story, with Lady & Trish taking their respective places as playable character. As such character development is basically out the window entirely. However we do get an insight in how Lady has progressed as a character since her introduction in Devil May Cry 3: Dante's Awakening. That game had her seeking revenge against her father (and thus closure) for the murder of her mother. We saw her relentlessly chasing a goal her life had revolved around (a Personal Legend in a kind of messed up way, if you will) and as such the events were a bigger deal for her then they were for Dante, who matured a little but all in all was just there to have fun. Back then she was emotionally vulnerable and broken as a result of the terrible experience her father had put her through. 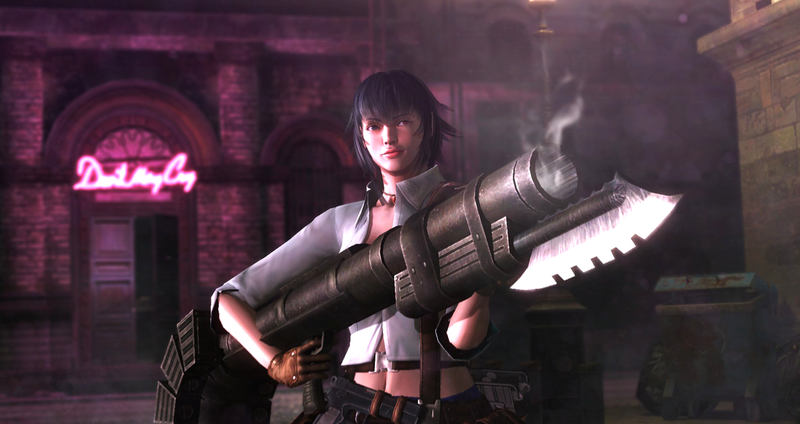 So when we catch up with her again years later in Devil May Cry 4, it's heartwarming to see that she turned out fine, is bursting with self-confidence and now enjoys her job as a demon hunter about as much as Dante does. So yes, the special edition of Devil May Cry 4 doesn't add a lot of new content, it does add someone I've been wanting to play as for about 8 years now. That alone made it worth my money. All in all, thanks to this and Bayonetta 2, it's been a pretty damn good couple of months for spectacle fighters. Now I just need to get good enough to actually make decent progress in Bloody Palace. They also added in Vergil, again. Devil May Cry 5 hinted?